That's just way too good, man! I really love your art style. 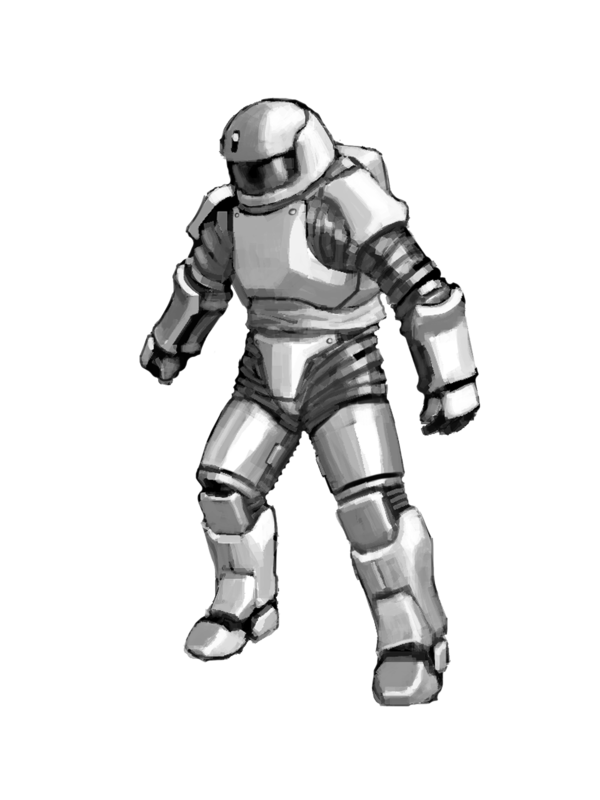 Ghanat pressure suit, with rigid torso armour. A conventional pressurized design, since mechanical counter-pressure isn't so great when you're covered in fur. 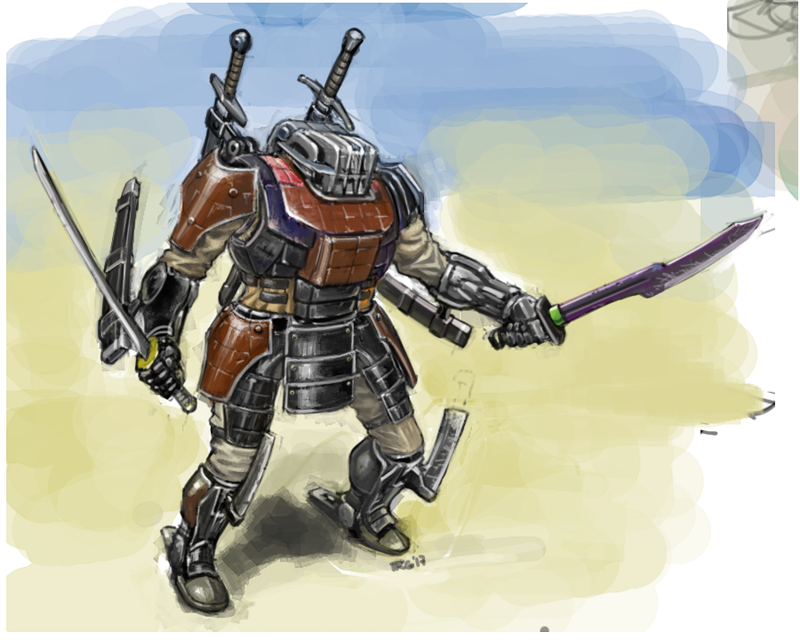 The armour is thickest over the Ijad. 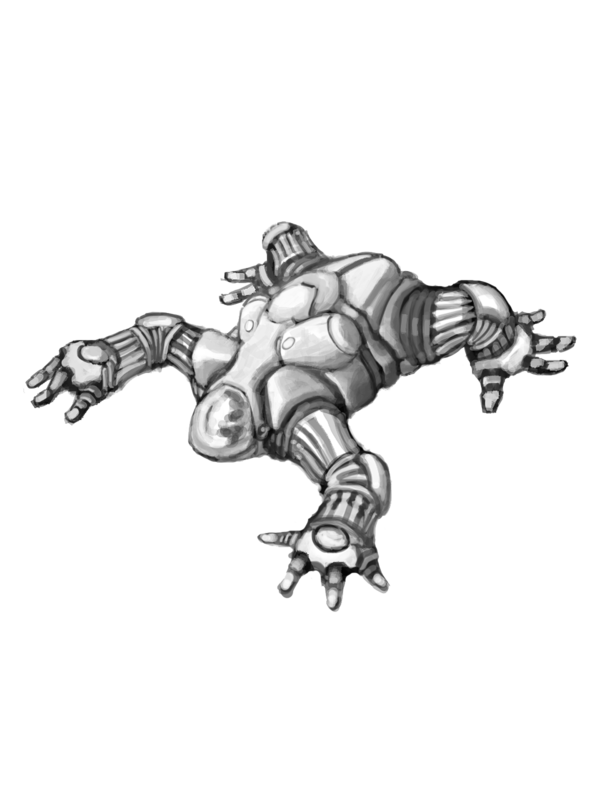 Free Colonies armoured pressure suit. 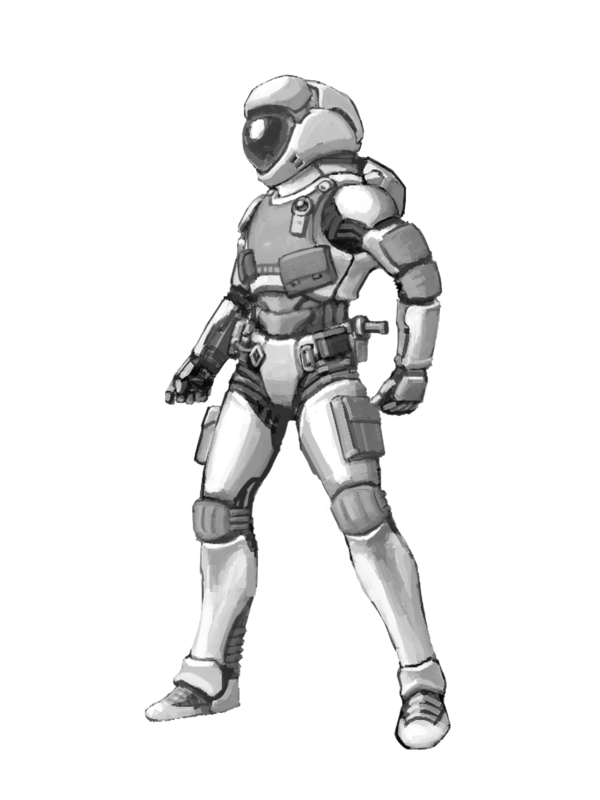 Based on the winner of a NASA design contest for a Mars pressure suit from a few years ago, with rigid cermet armour plates added. This was supposed to be a mechanical counter-pressure suit worn by Palau deck crew. 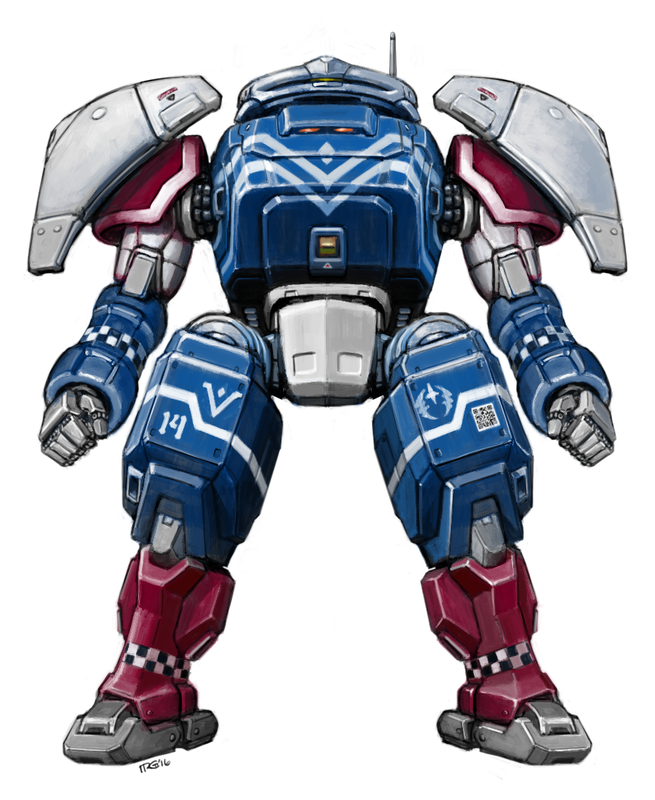 The version without the tactical doodads appears in the rulebook as an FC suit instead. 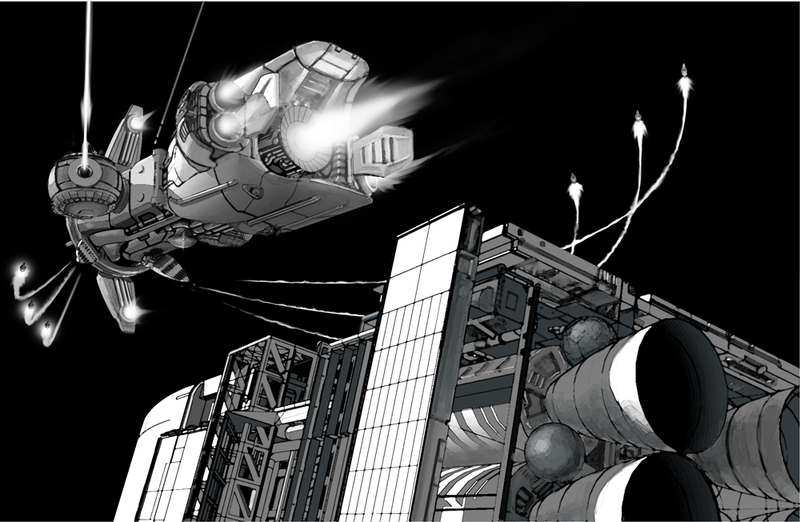 Ijad frigate escorting a freighter, trading fire with something off-screen. It's mainly to show off the missile launcher/maneuvering thruster 'flippers'. Also, I never noticed that the ghanateh had such well defined and articulate fingers. 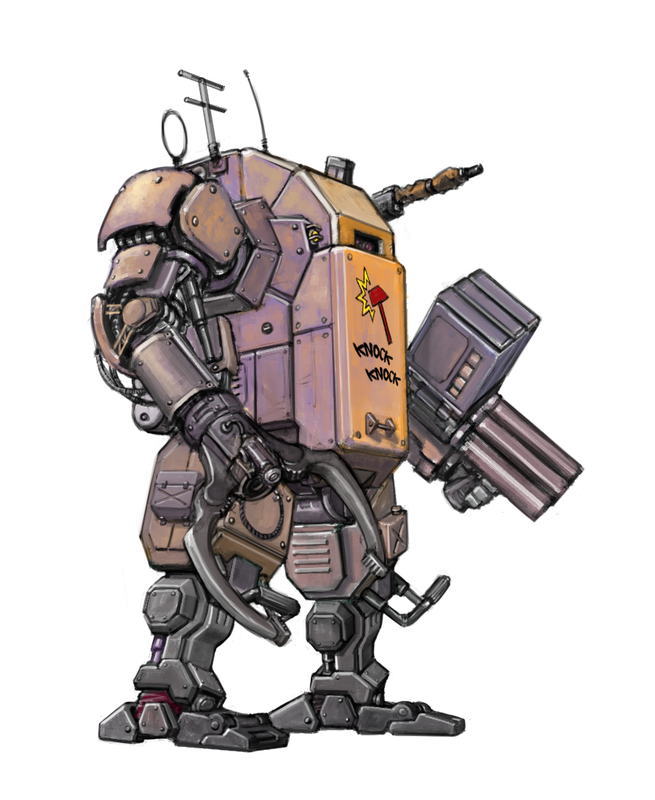 Just wanted to mention that the square patch on its left thigh is a QR code giving basic info about the unit. The small hatches on the shoulder-shields are flare & chaff dispensers. Lots of jury-rigging on this one, including the entire right arm. There's a cutting torch bolted on near the pivot of the pincers. The handheld weapon is a simple, triple-tube rocket launcher with gravity feed. To reflect its owner's aristocratic status, this has a good deal of custom-built applique armour which is both decorative & functional. 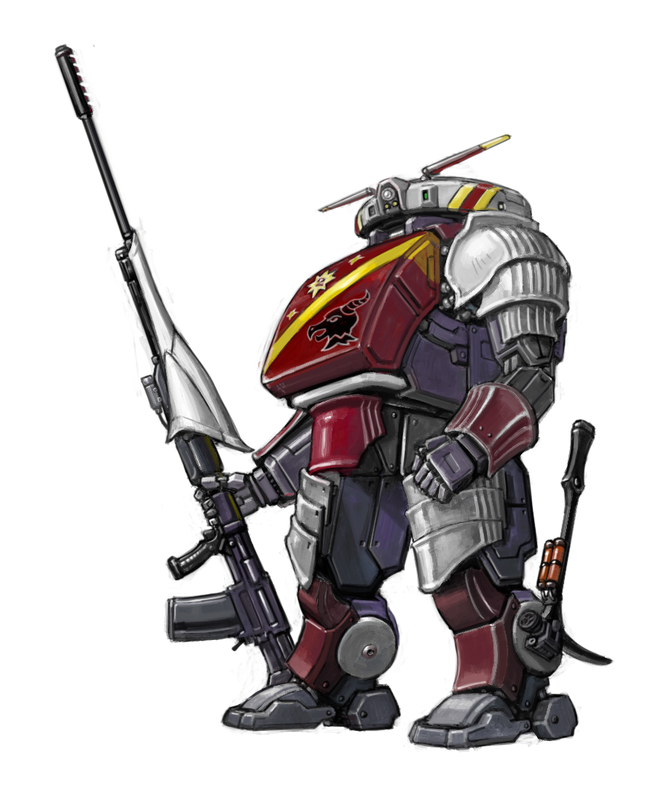 The upsized anti-materiel rifle is intentionally designed to resemble a lance, referencing its long reach & anti-armor capability. It's also a bit of a dichotomy, in that its length makes it unwieldy for anything but combat at long range. The weapon's appearance, minus the shroud, was modeled on the EM-2 rifle. 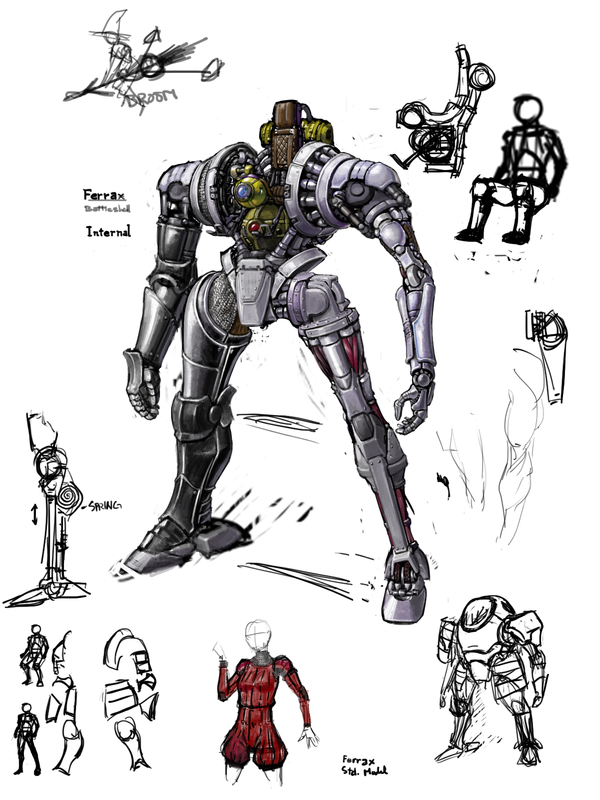 The military pick is for melee combat, and has a rocket thruster built into its head for additional oomph when striking. I was considering a set of flip-up wheels behind the heels to resemble rowel spurs, but I totally forgot about it. Awesome artwork as always, Ryujin! It's nice to get a look at some more customized frames. I'm showing them to all my friends that dig artwork, nice way to bring people closer to the game! Wow, How did I not know of this thread?! I absolutely adore the classical (Spanish-inspired?) frame pilot jumpsuit. That seals the deal for me, setting-wise, and makes the concept all the more believable. This is the first time I came across this thread.... It's like coming across a unnoticed treasure that was right in front of you the whole time. This artwork is really stunning! Some really wonderful concepts. Love it, just spectacular!